Since inception, the GHM Group has constantly sought to add layers of exper-tise and competence through the development and acquisition of brands, which not only offer precision measurement, but also bring a dynamic cross-over of synergies to customers. Over the years the group has brought on board leaders in the field of instrumentation, control and measurement, such as Honsberg, Delta OHM, Greisinger, Val.Co, Imtron and Martens, all offering unique centres of competence. Greisinger devotes a great deal of effort to compact designs and is a specialist for hand-held measuring devices, indicators, regulators, and temperature transducers and sensors, all of which combine technology with measurement precision. Over 100 000 devices are delivered yearly to customers. As a German-based centre of competence for measuring devices, indicators and regulators, as well as temperature sensors, Greisinger bundles the extensive know-how of experienced specialists under one roof. 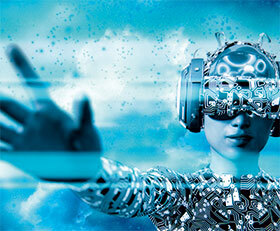 Market trends are tracked by the company and taken into account in the development of new technologies. For decades, the centre of competence, Honsberg in Germany has been regarded as a top address for measuring and monitoring flow, fill level and pressure in industrial applications. Dependable application engineering and innovative know-how from Honsberg specialists, coupled with product quality and reliability, have made the company a major contributor to the success of customers, as it is one of the best performers in the global marketplace. Sensors are vital to industrial production. This idea is sharpened at Martens’ centre of competence in Germany, where the special need for measurement precision and inclusion of specific customer requests are developed. The entire spectrum of modern analysis and industrial measuring technology enables GHM to offer product versatility for a broad range of applications. Martens’ sensors are utilised in building technology, plant engineering and the food and pharmaceutical industries, where almost all physical variables are measured, recorded and evaluated. As a manufacturer of metrological components for industrial applications the Imtron brand stands tall, and its centre of competence in Germany, is one of the most well-known providers in the market. The company specialises in stationary and mobile testing procedures, which assure activity in the power and automotive industries through components and systems. Imtron’s hardware and software provide important data and facts concerning all measured parameters on stationary test stands in the auto sector, and in mobile applications for test runs and test flights. This extends to power management and seamless monitoring of solar power plants and wind farms. In no other area can the collection of data take on such a decisive role as in the field of environmental measuring technology. Delta OHM’s centre of competence in Italy has over 40 years’ experience in the supply of state of the art sustainable components for the field of meteorology. Measuring instruments, data loggers as well as environmental and weather stations for the capture of acoustic information, vibrations, micro-climate data, air quality, water analysis, relative humidity, wind speed, photometry and light temperature and pressure have earned international recognition for Delta OHM innovation and product technology. Founded in 1982, Val.Co has quickly made a name for itself as a specialist in the field of fill level measuring technology due to the quality and reliability of its instrumentation. The company is regarded as a key player in the industry due to the experience and expertise of its technicians and has obtained ISO 9001 quality management accreditation. Val.Co’s centre of competence near Milan enables it to draft, engineer and manufacture all of its products and systems, which are used in industrial processes for the storing of mineral oil products, refineries, lubrication systems, cooling equipment as well as electricity generation plants and galvanic systems for the beverage industry. The GHM Group is renowned globally for the manufacture of high-quality precision measuring and regulating technology. Since the group’s inception, it has expanded from the original foundation of a small yet successful measuring technology manufacturer from Germany and northern Italy. Today, the Group has grown into a medium-sized corporation with a combined depth of added value based on more than 200 years of combined experience. The South African office for the GHM Group opened in 2016. 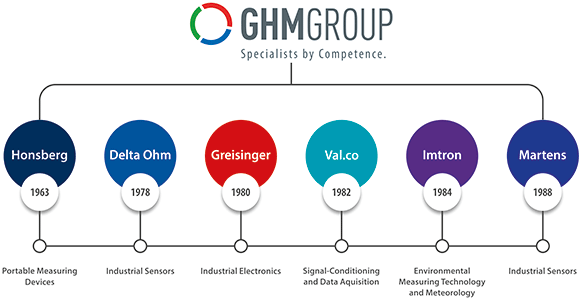 “The GHM Group comprises excellence in innovation from iconic brands such as Honsberg, Delta OHM, Greisinger, Imtron, Val.Co. and Martens,” commented Overhues. “From the development of specialised measuring processes to the complete production of sensors and key mechanical elements, to data loggers, firmware and software programming, we manufacture measuring devices that find application across all industries. The emphasis of our growth is found in the general machine construction, building technology, measurement data recording and communication, as well as in the food production industry, meteorology and general environmental measuring technology sectors. “Our goal since opening the South African office of GHM Messtechnik has been to offer a personalised and solutions-driven service to our customer base,” explained Grobler. “Our products are high-quality, high-accuracy sensors and instrumentation, hygienic design instrumentation, laboratory instrumentation, industrial electronics, process measurement technology, data acquisition equipment and environmental/water analysis instrumentation. These technologies and products have wide ranging applications for general industry, mining, food and beverage, brewery industries, power generation, renewable energy, pharmaceutical, laboratories, oil flow measurement and hydraulic related sectors. • Process, industrial, test-stand and laboratory measurement technology. • Industrial electronics/closed-loop control technology. 1. Industrial – sensors and electronics. 2. Environmental technology – areas of metrology and mobile measuring devices.